How do I know what new dentures will cost? Do we accept dental insurance? When should I replace my dentures? 1. How do I know what new dentures will cost? Visit our location to speak with one of our staff directly. No one wants to be embarrassed because your treatment plan was far more than you could afford. We do our best to prepare you for what is to come and decrease the amount of surprises. 2. Do we accept dental insurance? If you have dental insurance, they will provide an appropriate dental statement of services. While most practices do not directly file insurance claims, you save money by filing the claim yourself. The practice staff can help you calculate the costs of your services so you can make the best decision. 3. When should I replace my dentures? Dentures will typically need to be replaced every 5-10 years. Patients find that the fit of their dentures changes over time, as their jaw bone shrinks. Since it is normal for your mouth to change and denture teeth to wear down, you should have them checked during a yearly dental visit. 4. How often should I visit the dentist now that I have dentures? 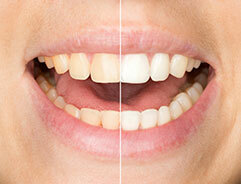 Even if you have lost all or only a few of your natural teeth, you should still visit your dentist once a year. The dentist will be able to evaluate the fit of your dentures, offer suggestions for denture care and hygiene, and check for issues that may arise, such as oral cancer. 5. What if I have an emergency? Generally, we are able to provide same-day treatment for patients that are in pain and need EMERGENCY EXTRACTION SERVICES. Your health conditions and any medications you take will determine if extraction services can be provided. Same-day denture service is very helpful if an emergency occurs because you unexpectedly lost or broke your denture. Emergency repairs can usually be accommodated the same day. 6. How should I clean my dentures? 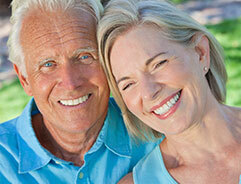 Daily care of a new denture is very important to help maintain good oral health. For everyday cleaning, use a soft brush and a cleaning agent, such as soap and water, or products sold specifically for dentures. Be sure to brush both the inside and outside of your denture. This will help eliminate harmful bacteria. We also suggest soaking your denture in water or a denture-cleaning agent when you take them out to sleep. We strongly advise that you hold your dentures over a sink filled with water when you clean them. This will help prevent breakage if you accidentally drop your denture. You may also want to cushion the sink and counter with a soft cloth or towel. 7. What if my denture is causing soreness on my gums? It is not unusual for a new denture to create sore spots on your gums. Give us a call, and we will let you know what time of day to return to have your denture adjusted. Adjustments help eliminate sore spots, and there is typically no charge during the first 60 days. Following 60 days, a small fee is charged for adjustments.